Location, location, location. You’ve heard it before – but there’s much more to picking the right spot for your Small Business than just the location. 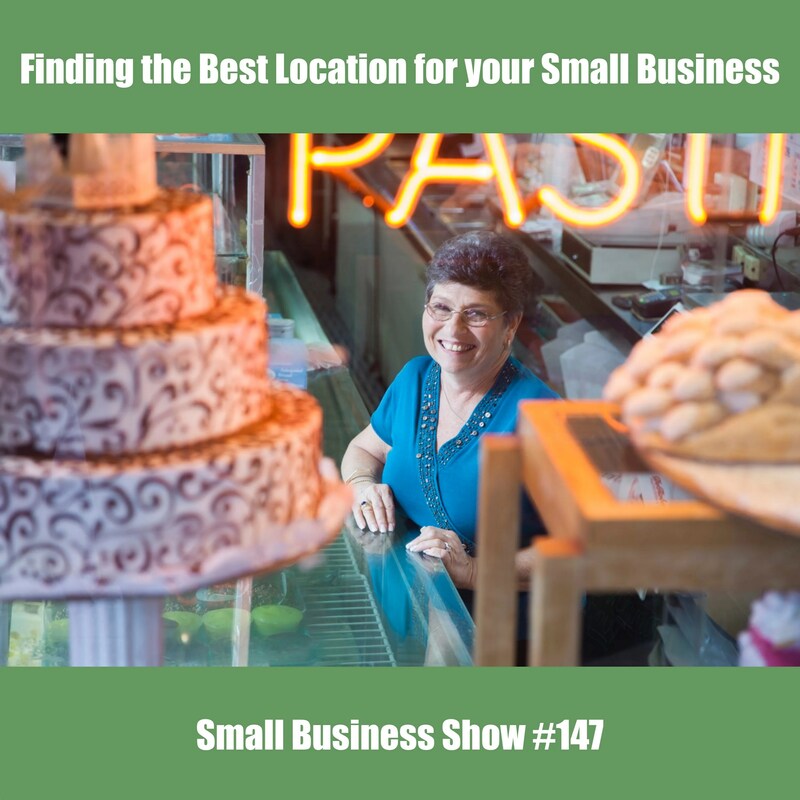 Join Dave Hamilton and Shannon Jean on this episode of the Small Business Show to hear their experiences and tips for choosing the right place. Listen and and hear about Retail, Office, Industrial and Flex spaces – what’s the difference and what to watch out for when considering moving your Small Business into one type of property or another. We discuss hidden costs, competition, being sure you get just the right amount of square footage and much more. It’s then time to learn about leases! The lease is the critical part of any rental contract and can save you, or bury you – depending on what’s in it. Learn about Gross vs. NNN leases, zoning issues, CAM, tenant improvements and more. We wrap up the show by discussing the benefits of owning vs. leasing a space along with a quick survey of other leasing issues you should be aware of. Join us today and then visit the Small Business Support Group to share your story or ask specific questions about where to locate your Small Business. 00:16:34 How much space do you really need? 00:24:08 Own or lease – Why not both? How important are the benefits that you offer to your employees? Are they valued more than cash? And how do you keep your benefit expenses down while maximizing the impact to your employees? Join us on episode 146 of the Small Business Show for all this and more! Benefits, beyond salaries and wages can have a dramatic impact on your employees and your bottom line. Dave and Shannon spend time today discussing how to best manage the increasing costs of health care and dealing with the impact of the Affordable Care Act. We also discuss outsourcing health care management before jumping into a discussion of benefits beyond health care. Paid time off – whether in the form of vacation, sick or personal time can be a powerful benefit to offer to your employees. We discuss using flex time and the idea of unlimited vacation and how they both impact your business. Shannon discusses the power of food as a benefit to your employees (and yourself!) – keeping your employees well fed can be a powerful performance incentive. We wrap up the show with a discussion of Checks vs. Cash vs. giving gifts to your employees – which has the biggest impact? Listen in for all this and more! When you’re done with this episode, join us at the Small Business Support Group on Facebook to share your stories and thoughts on employee benefits. 00:09:41 What is the impact of ACA? 00:21:09 USPS Informed Delivery/Insights Can be… your friend? Many Small Business owners would agree, it’s not “if” but “when”. Will you have someone file a frivolous lawsuit against your company, or perhaps have a disagreement with a supplier that winds up in court. Or maybe a disgruntled employee feels like they were mistreated and they want to be compensated. No matter how it comes about, lawsuits can be a tricky minefield that can cause you to take your eye off your business. Join us on episode 145 of the Small Business Show to hear how to avoid getting sued in the first place, how to respond if you are sued and where to turn for help. Dave and Shannon discuss both sides of the courtroom – suing or getting sued and offer some sage advice about leaving your ego at home and not bringing your sense of justice when trying to settle a case. But first, learn about the mechanics and timing of a lawsuit – the more you know the more you can avoid pitfalls that can sink your chances of winning a case. Once you know how things will unfold, we jump into the Demand Letter and what to do if you receive one. Along with how to work with your attorney, insurance company and banker to be sure you and your business are protected during the entire process. Listen in and then visit the Small Business Support Group to offer YOUR advice and comment on our stories! Sponsor: StoryBlocks. Get a “Triple Bundle” – images, video, and audio – for the price of one with our special deal. Visit StoryBlocks.com/sbs to get all of this for just $149 for a full year of unlimited access where all content is royalty-free! When the time comes to let an employee go, what are some best practices to keep your Small Business running smoothly during the transition? Should you worry about how it will impact other employees? Are there rules about how you go about firing someone in your state? Should you apologize to the person you are laying off? Join us on this episode of the Small Business Show for answers to these questions and much more! Your co-hosts have been to the party, they’ve seen this movie before and it’s not their first Rodeo. Having experiences with firing and laying off employees during their 25+ years in business has made it clear to both Shannon and Dave that how you handle these “Exit” situations can have a profound impact (both positive and negative) on your Small Business. We start the show with Shannon’s belief that in most situations, it’s ultimately the fault of management (that includes YOU, small business owner) when you have to fire someone – listen in to find out why and then let us know if you agree with this concept. Then, we dive right into what type of message your actions send to the rest of your employees, how thinking of yourself as a Steward to your employees can help you to frame things correctly and how to handle layoffs that will impact your cashflow. 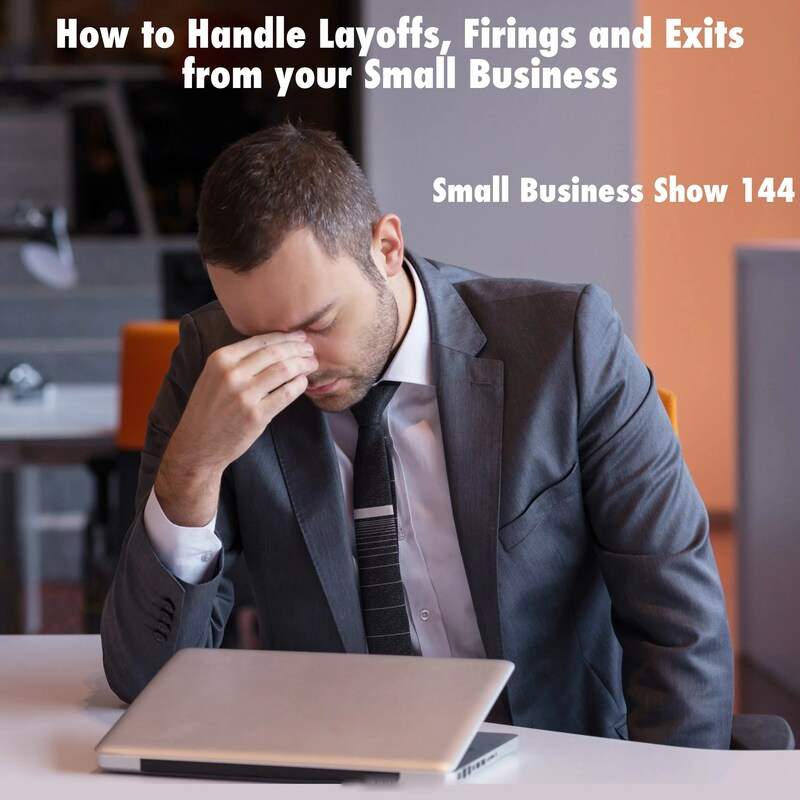 Even the eternal optimists at the Small Business Show want to warn you about being overly optimistic during these situations and how it can ruin your layoff strategy, along with tips on keeping communication flowing during this type of transition and how to embrace the “art of firing”. Join us today – we have a lot to talk about. Then, come share your experiences on the Small Business Support Group! 00:01:01 Sponsorships… in the last episode!